This personal narrative tells about a fun experience at an amusement park. The amusement park was awesome! My personal favorite ride was Space Monster. I loved it! It was a one person in a seat ride and I was tired of seating with other people. It was pitch black, but not that scary. It went ZOOM! ZOOM! WISH! WASH! It was totally great! Inside the only thing that light up are the stars. When you first start you go through this tube with streaks of light and then it turns pitch black. It was so fast I didn’t have time to wipe the hair out of my face! My grandpa sat in the front car and I got to sit in the middle! My sister went on the ride and almost burst my eardrums screaming. She had never been on a ride that fast. The lights were great, it made me feel like I was in space. Seeing the warning signs made me a little more nervous. When it was over I knew it was worth the wait in line! Space Monster by Thoughtful Learning is licensed under a Creative Commons Attribution-NonCommercial-ShareAlike 4.0 International License. 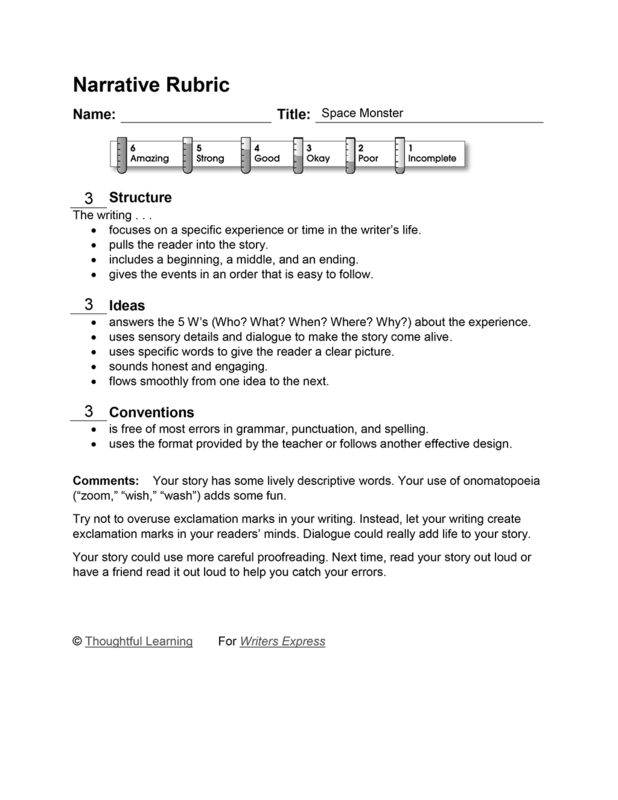 Based on a work at k12.thoughtfullearning.com/assessmentmodels/space-monster.